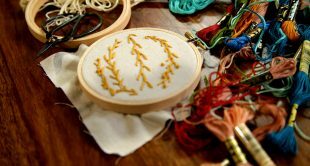 Embroidery is a wonderful craft and one that can be easily modernized and updated from the classic samplers of our grandmothers and this list of embroidery resources is designed to help you get started. Not only is embroidery an exciting addition to any artist or crafters skill set, but it is also a time honored art form that can create and continue meaningful crafting traditions in your family as it has in mine. I first learned to embroidery when I was about ten and learned from watching my grandmother Rose Marie. I immediately fell in love with the attention to detail and the slow nature of the process. Embroidery can be as precise as math or abstract as a work by a modern art master. Part of the fun is getting a few stitches and techniques under your belt and seeing where they take you. My favorite thing about needlework as an art form is its versatility. Everything can change in a design, simply by switching out the color of thread of texture of fabric. It is also one of the few crafts that you can stop and start a project anytime and bring anywhere. It’s flexible in terms of materials. Paint does not have to dry, part of the process does not rely on a material that has a short window for manipulation. You can start and stop whenever. You can also bring it pretty much everywhere. I often take my work out of the studio and work outside, or more glamorously while waiting in the car for my daughter! Plus it is super easy to get started! The supplies are basic. A hoop, some fabric, embroidery thread, a needle, and a pair of scissors and you are set to go! 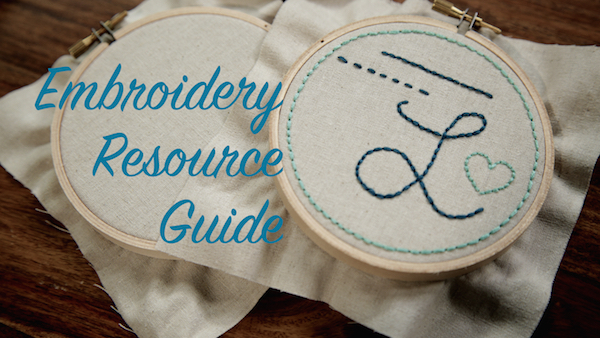 I’ve pulled together some of my favorite embroidery resources in this handy guide. Books are the first place I go for inspiration and to refresh my skills. I am so grateful to Chronicle Books for supplying us with a beautiful collection of my favorites for the Creative Live classes. Below are the titles I use and recommend. There is no shortage of places to find great needlework supplies online. If you are local to the San Francisco Bay Area, Needle in a Haystack is a wonderful store to find specialty needlework supplies like thread, fabric, hoops, and hand dyed, and hard to find materials. Follow each link for a direct source for each supply for the class. 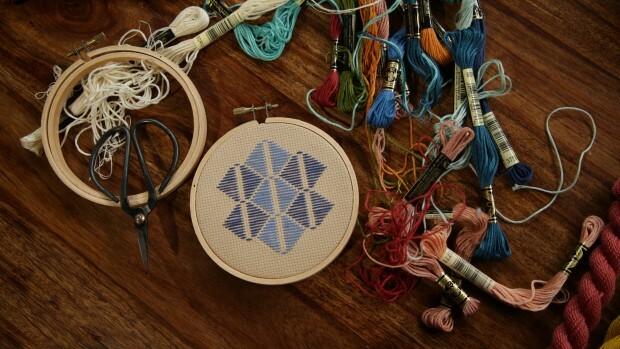 Additionally, here are some great online resources for just about everything needlework. Joann – Great for DMC embroidery thread, Aida cross stitch cloth, felt, needles, dowels, sewing thread, and hoops either online or at one of their store locations. Everything Cross Stitch – Beautiful selection of Aida cross stitch fabric in a wide variety of colors and gauges. Hand dyed, and hard to find colors. Blick – Every art supply under the sun times 10! Blick has it all. Paint, brushes, staple guns, canvas stretchers, Saral paper, you name it. 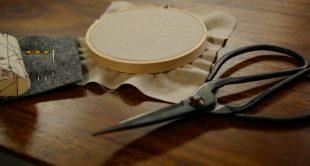 Fabric.com – Endless selection of fabrics, great selection of linen and cotton blends for embroidery in a wide variety of colors. Etsy – This handmade marketplace has many independent shops that offer beautiful hand dyed threads and fabrics. I linked to one of my favorites, but a simple search on their site can lead to many great resources. To get the printable version of this list along with some incredible links to needlework patterns and places to find inspiration, download the complete embroidery resource guide below! 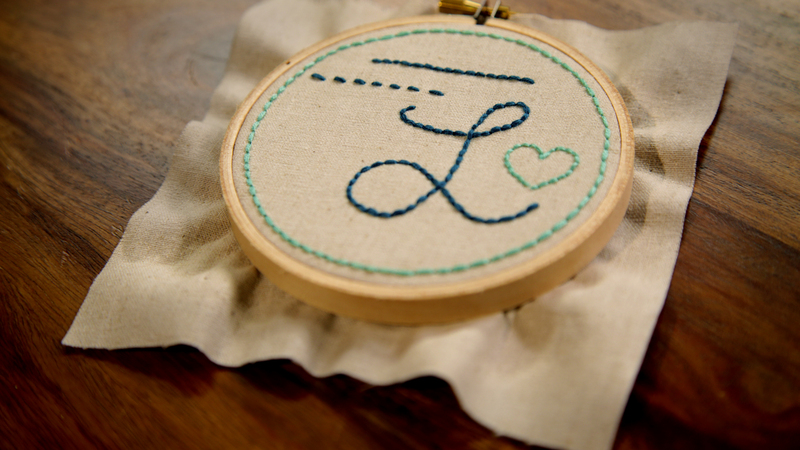 Have you been daydreaming about starting a hand embroidery project? 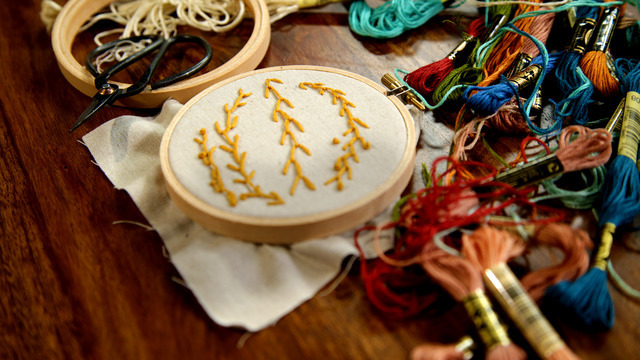 Download our free Embroidery Resource Guide! 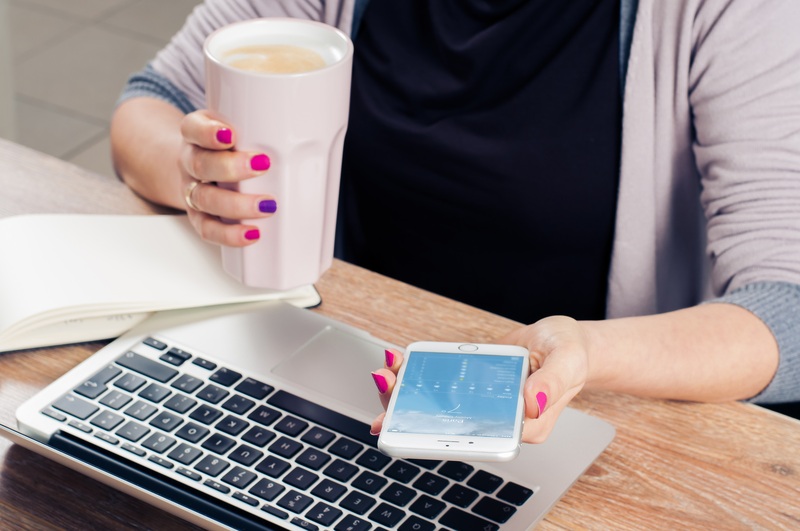 This comprehensive collection of lists, links, pattern sites, and ideas will help you get started! Lisa is best known for her modern needlework jewelry designs for Zelma Rose and her fine art needlework installations.